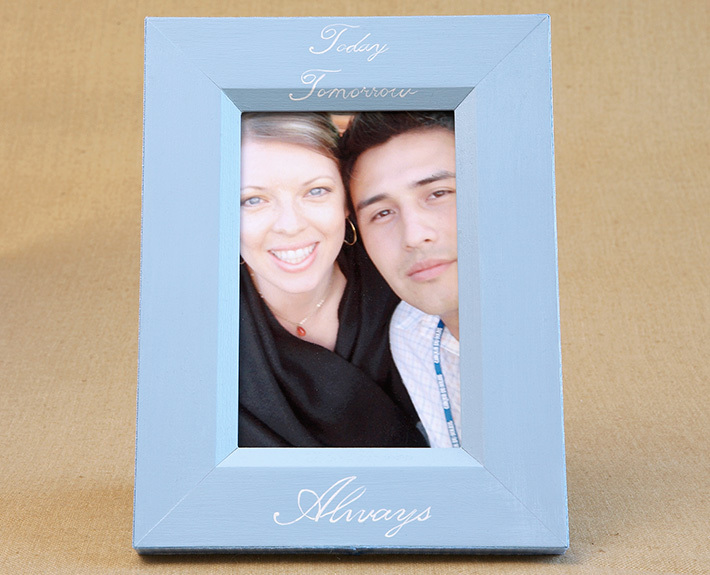 This charming hand painted picture frame is perfect for engagements and anniversary photos. 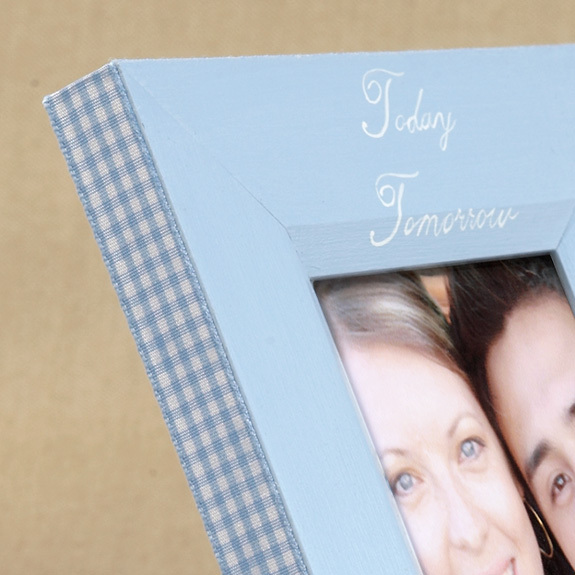 The frame is a solid color with the words "today, tomorrow, always" and a coordinating ribbon on the sides. Celebrate and remember with this wonderful frame. Makes a great gift.